Alan Cassidy MBE, British Aerobatic Association (BAeA) Chairman explained: "Gerald was flying the XA41 in only his second international competition in this radical new, all-carbon, high-performance monoplane among a field of 22 of Europe’s top competition pilots. Gerald's innovative style, sometimes quirky, sometimes using the XA41's remarkable control authority at low speed, set him apart from his competitors in a way that gained the approval of the ten International judges." Watch the YouTube flight here. Gerald won the BAeA Tiger Trophy recently whilst flying a borrowed Cap 231 aircraft, at the competition staged at Sherburn-in-Elmet. 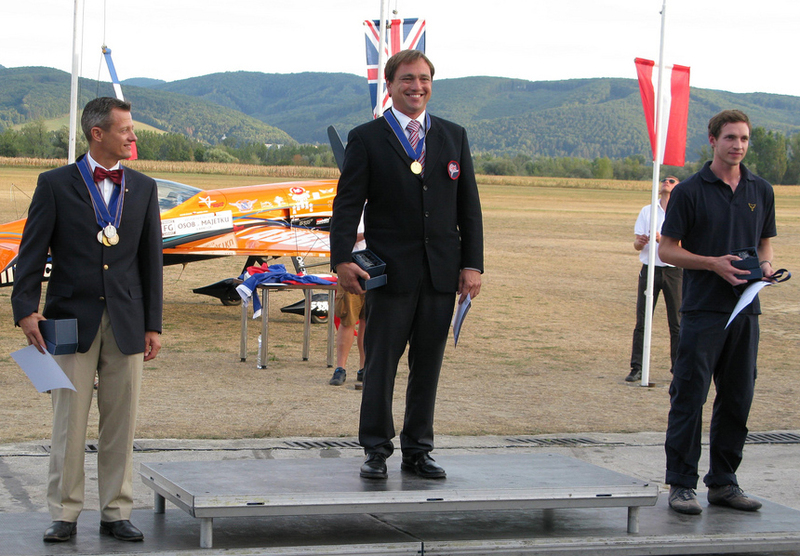 Contest Director Aidan Grimley commented: "This gives a demonstration of his extraordinary talent by turning up in a borrowed aeroplane without any practise and taking the Tiger trophy home." Visit the British Aerobatic website for a full report of all this year's competitions. The World Air Games is the premier and only official world multi-discipline air sport event, at which the world’s top air sport athletes compete for the prestigious title of “World Air Games Champion”. After flying one of the most complex unlimited competition sequences ever Gerald won the bronze medal in Turin, Italy. Visit The FAI World Air Games website for more information.